Click on a title below to read the article! By looking at this newsletter or visiting the WBSRC website you will quickly notice the WBSRC has been given a facelift. Behind the scenes these improvements are more economical and easier to update. For those who read our emails and use our site we hope the changes help you too. The website has a fresh new look, but the same ﻿useful ﻿information the old site had plus some added items! Be sure to check out the website, and if you have any pictures you would like to share send them along so we can keep the website fresh and interesting. Along with this new look comes a new Facebook page. We will post interesting articles, events, and other information to help spread the work that is ongoing in the West Branch. We hope you will log in and like us on Facebook. 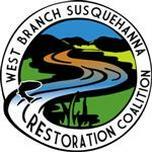 Not only will you help share the message of the WBSRC with your friends, but you will also stay up to date with information about the West Branch. If you find any articles or things that you think others would be interested in, please pass it along! As TU staff worked to switch the website to this new format, it became apparent that we are not doing the best job we can to advertise for you as member groups. Our events calendar is lacking new and exciting events in our watershed, and we only have a few submissions for our news updates. We work hard to keep up to date on the events and programs around the watershed, but we can’t do it alone. If you have information to add to the website, please contact us at info@wbsrc.org. Redesigning the website and switching our emailing service was no small feat, so we hope that you find it to be more useful. If you find areas that can be improved, or need some changes made please feel free to contact us. This is your coalition, so if you would like to see a speaker at a quarterly meeting or an article in the next newsletter SPEAK UP! We are always available by phone (570)748-4901 or by email info@wbsrc.org. We welcome any suggestions that will make the WBSRC stronger. Kathleen Lavelle joined Trout Unlimited as a Field Technician in early 2014. Kathleen graduated from Mansfield University with a B.S. in Geography and a concentration in Outdoor Recreation Leadership. 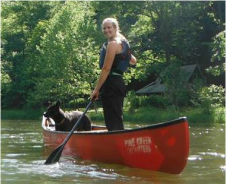 Kathleen will assist with the field and research work for both the Eastern Abandoned Mine Program and the Pennsylvania Eastern Brook Trout Habitat Initiative. A focus of Kathleen’s work will be completing biological surveys for the Pennsylvania Fish and Boat Commission’s Unassessed Waters Initiative and other groups that request technical assistance through the Technical Assistance Grant Program. Groups or individuals that have questions regarding target areas for the Unassessed Waters Initiative or that would like to request technical assistance for abandoned mine drainage problems through TU’s Technical Assistance Grant Program can contact Kathleen at KLavelle@tu.org. Clearfield Creek Watershed Association (CCWA) was founded in 2001. Since that time the all-volunteer group has grown, but stayed close to its mission to improve and protect the quality and the beauty of the Clearfield Creek. To complete this mission the group has taken on a number of projects throughout the years and is seeing real progress due to their work. CCWA has worked to treat mine drainage at multiple locations in the watershed. These projects include successful passive treatment systems which are working to remove metals and acidity. The group also has worked on refuse pile removal and land reclamation projects. Overall these projects have decreased the amount of iron and other metals which reach the West Branch of the Susquehanna, and has increased the pH of Clearfield Creek. As projects build on one another the group sees improvement in the stream, and hopes to see fish thriving throughout the watershed. The group is not stopping until Clearfield Creek is restored, and has not slowed down in their efforts. In 2015, the group plans to construct two new passive treatment systems, and work on the design of two others. All of this is in addition to maintaining existing treatment systems, and monitoring streams. The group is increasing its monitoring efforts and has worked to monitor streams for contamination for natural gas drilling activities, monitor the water quality of the main stem of Clearfield Creek, study the recovery of streams that are being treated, as well as conducting sampling on sites for possible treatment. CCWA does all of this work with dedicated volunteers, along with partners such as the DEP, Conservation Districts, Fish and Boat Commission, local universities and colleges, and many others. In addition to the work to restore AMD impaired streams in the watershed, CCWA also hosts education and community outreach events. This includes a successful youth fishing derby that the group has sponsored for eleven years. The group has also recently sponsored a Wounded Warriors fishing derby to support wounded veterans looking to enjoy fishing. They also provide financial support for the Trout in the Classroom program and sponsor a field trip for local middle school students. Both events encourage local youth to become involved outdoors in their local watershed! Through trash pick-ups the group helps the local community and streams. The group started cleaning up trash along nine miles of a local highway twelve years ago, and today cleans this stretch 3 times a year. The project has grown to include stream clean-ups for five miles of Clearfield Creek, which the group does twice a year. These events have helped to beautify the local community, and also brings attention to the group’s work. This is not to mention the tons of trash volunteers have removed from these areas. CCWA is an active group, that works diligently every year in their efforts to improve Clearfield Creek. If you would like to find out more about their projects, and work the group does visit their website at www.clearfieldcreekwatershed.org/. Most of us know that monitoring streams is a valuable way to see if restoration efforts have been successful or not. Monitoring programs are important also to pinpoint where restoration work would be most valuable, and to find which streams have the highest potential for restoration. With this knowledge it may sound like a waste of time and resources to monitor streams that are seen as healthy, but this monitoring is needed as well. These types of streams are often times called baseline streams and generally have had little to no human impacts, or are not impacted by the factors you are monitoring for. Sometimes future development of these streams is suspected, but other times this is not the case. The data you collect from these streams is valuable for a variety of reasons. First, this data gives you an idea of what a healthy stream in your area looks like. Some watersheds have naturally high alkalinity, or maybe your watershed contains a higher than normal background iron level. Each watershed has unique geology, which can change in a short distance, so knowing what is “normal” in your area is important to determine how far from that your impaired streams are. 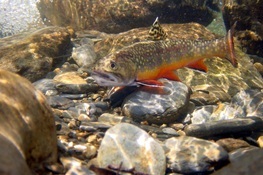 Also the life found in streams varies from area to area. This is particularly true of macroinvertebrates, which do not travel across large distance quickly. By determining what a healthy stream in your area looks like, you have a goal to reach for in your restoration. Secondly, the information you collect will let you see natural changes over time. It is pretty obvious that a stream’s temperature will change with the seasons, but how much change is natural for your area. If your streams are mainly spring fed, the answer might be not much. By monitoring nearby streams for seasonal changes in water quality you might be surprised by how much or how little conditions should be changing with the weather. This can help you in deciding if a change in water quality is normal seasonal variation, or the result of something going on in the watershed. Thirdly, if these streams become polluted in the future the information you collect is invaluable. There have been cases of healthy streams that become polluted due to human activities. Unfortunately, many of these streams were not monitored before the pollution. Without knowledge of what the stream was like prior to the event, it is difficult or impossible to restore the stream to those conditions. Also without proof of the health of a stream the party that polluted the stream may not be held responsible for restoration. Finally, being on these streams lets you get a personal feel for what is normal in your watershed. By keeping an eye on these healthy streams you ensure that dangerous changes are caught early before they have a chance to severely impact the streams. Plus it’s always nice to sample a clean stream, instead of an orange one! For these reasons it is important that as you plan a monitoring program you not only sample streams that are impaired or where you plan to work, but also nearby healthy streams. If you are interested in starting a monitoring program, or adding to your existing program, Trout Unlimited or your local Conservation District can help. We can work with you and other partners to plan the best places to monitor, and what parameters are important. Feel free to contact us with any questions about monitoring at (570) 748-4901 or info@wbsrc.org.